Our new pallets provide you with the best possible value through consistent quality and performance. 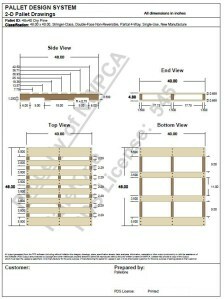 As America’s largest new pallet manufacturer, we offer a wide variety of lumber species, dimensions, and grades. We build to your specifications following the industry-standard guidelines set forth by the National Wooden Pallet and Container Association. In addition to custom designed pallets, we also offer custom painting, branding and stenciling. 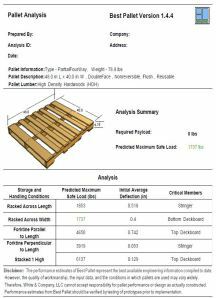 All PalletOne locations are audited and certified annually by third-party inspectors to provide heat-treated pallets (HT pallets) for export in accordance with the IPPC’s most current ISPM 15 requirements. As an industry leader, our team is well educated on ISPM 15 rules and regulations and stays informed on the latest changes in wood packaging export requirements. We can help you ensure that your shipment meets all required international regulations and will keep you up to date on regulation changes that may affect your shipments. We maintain current specifications and the certifications necessary to meet the requirements for industry-compliant pallets. GMA Pallets – For the grocery industry, we supply Grocery Manufacturers Association whitewood pallets (GMA pallets). Costco Pallets – We can supply pallets to meet the current Costco block pallet specifications; we also manufacture block pallets for leading pallet pooling companies. CP Pallets – For the chemical industry, we are certified to build chemical pallets (CP pallets) and maintain a database of the specifications required. Government Pallets – We have current specifications by NSN or ASME part number for all approved government pallets, and we are cage code ready for prime contractors. SPEQ Pallets – Custom designed for specific applications using the Pallet Design System© (PDS) software,these high-quality pallets are great for closed-loop and automated systems because they are inspected by a certified third party to guarantee they’re built to specification and perform properly. Alternative Pallets – Contact us for more information on alternatives to traditional wood pallets such as plastic pallets and composite pallets.